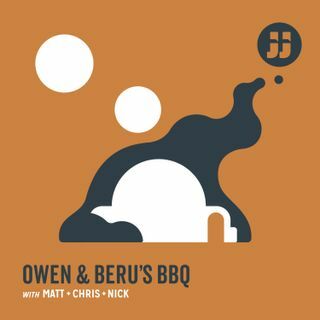 Owen and Beru's BBQ: Ep. 14: "Darth Vader Lives"
Nick and Matt return to the grill to discuss all things Star Wars. Join in as they serve up recent news and a review of the recent Darth Vader comic line from Marvel. Matt reviews an older Timothy Zahn novel, and there's nothing quite like Anakin slow roasted on an open fire to get that real Flame Broiled, Dark Side flavor of Sith.